Jangwoo “Peter” Eom appeared on Show 269, recorded in February 2013, at age 17. 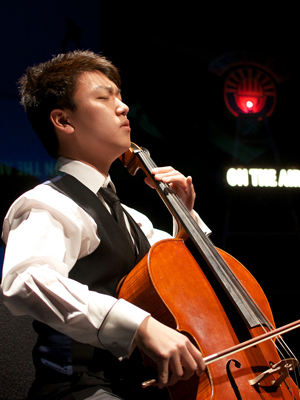 Jangwoo “Peter” Eom (cello), 17, attends Highland High School in Gilbert, Arizona, where he participates in orchestra. 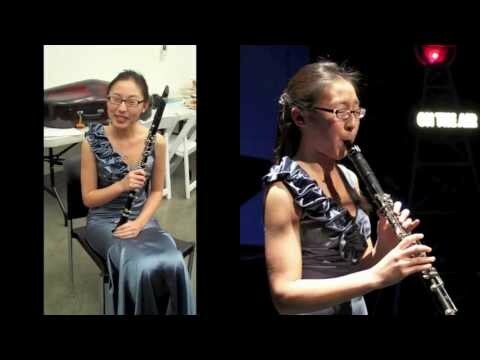 He studies with Thomas Landschoot and performs with the Phenix Youth Symphony. He loves the collaborative nature of music and is passionate about the importance of music. Outside of music, he loves reading poetry and dabbles in multimedia sculpture.